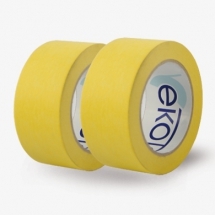 Paper masking tape is designed for surface protection applications during painting and car finish works. The tape is tempreture resistant up to 80°C including oven drying. After application the paper masking tape does not leave any residue on the surface.